Ro-Skim, an Integrated Skimming System – SOS Safety International Inc. 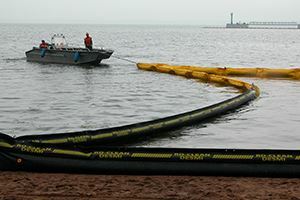 The RO-SKIM is positioned at the optimum location for oil recovery. The RO-SKIM is a special section of RO-BOOM that has been fitted with a weir and DESMI DOP 250 or DOP 160 pump. The RO-SKIM is available in five sizes to mate with RO-BOOM 1000, 1300, 1500, 1800 and 2000. 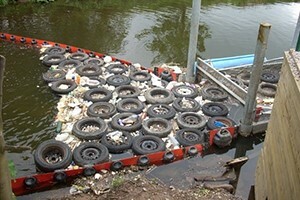 The weir is ideally placed for collection of the oil that is building up against the face of the RO-BOOM. 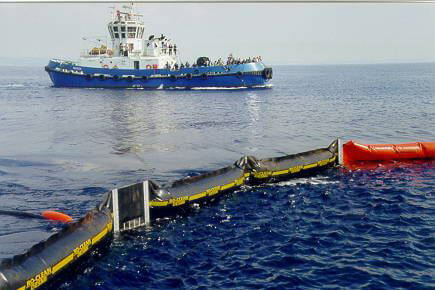 One or two RO-SKIM units can be coupled together in one long boom assembly offering a high recovery rate. 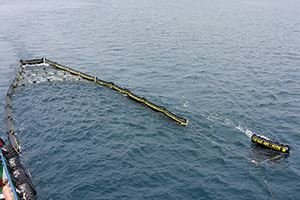 The RO-SKIM is ideal for open sea sweeping operations. Modular system that allows configurations to be built according to requirements. 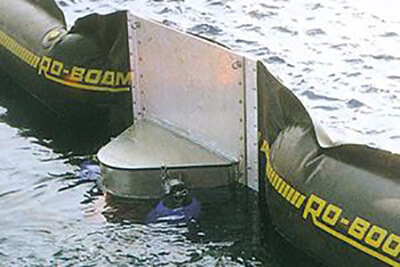 RO-SKIM is a special section of RO-BOOM – independent skimmer and boom configurations. Weir built into the boom system and therefore follows the wave movements. Hose sets and hydraulic power units are available for the operation of one or multiple RO-SKIMs.